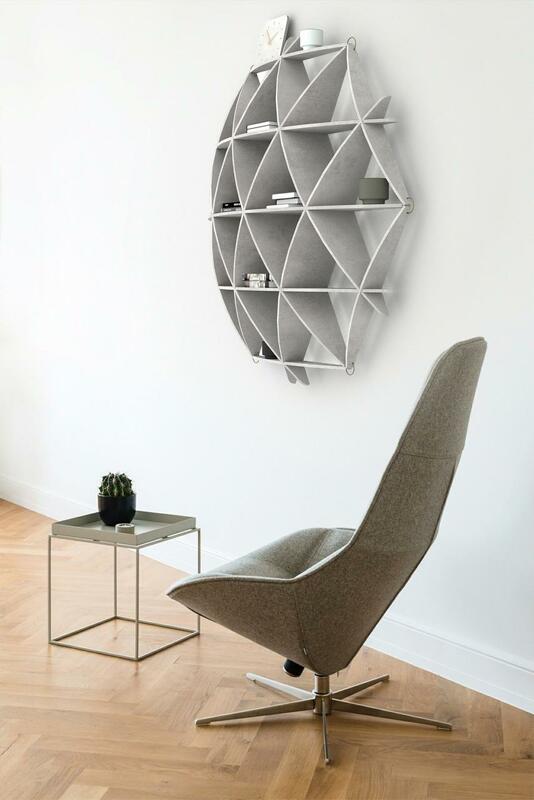 A wall shelf COMB by Estonia’s leading furniture designer Jaanus Orgusaar is now available also in Valchromat. Its presentation took place in April At Tallinn’s Interior Design Fair. 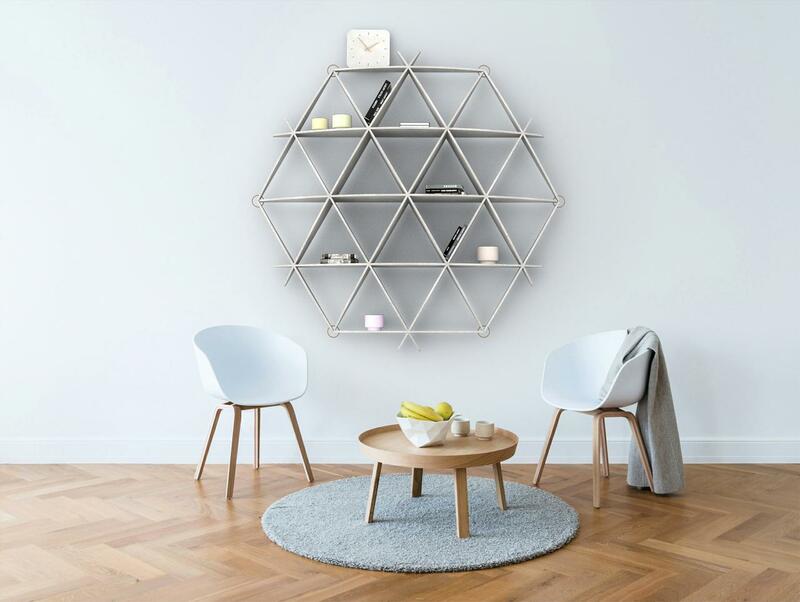 Sculptural shelf COMB is made of 8 mm light grey Valchromat in addition to its original veneer versions. “ A great advantage of Valchromat is its homogenious coloured texture. Compared with other wood panels it needs no additional colouring nor treatment of the surface. Slightly visible wood fibers give it a unique look,” explained designer Jaanus Orgusaar why he is using Valchromat. Jaanus Orgusaar is an inventor and designer whose trademark is construction of 3D objects from two-dimensional sheets with smart shapes. In recent years Jaanus Orgusaar has rocketed onto European and international design and architecture arena. His work like mini-house NOA and wall shelf COMB have been presented in hundreds of design magazines (Wallpaper, Wired UK, ELLE Decoration, Architectural Digest, etc.) and a number of design blogs like Dezeen and Archdaily, and a number of books.